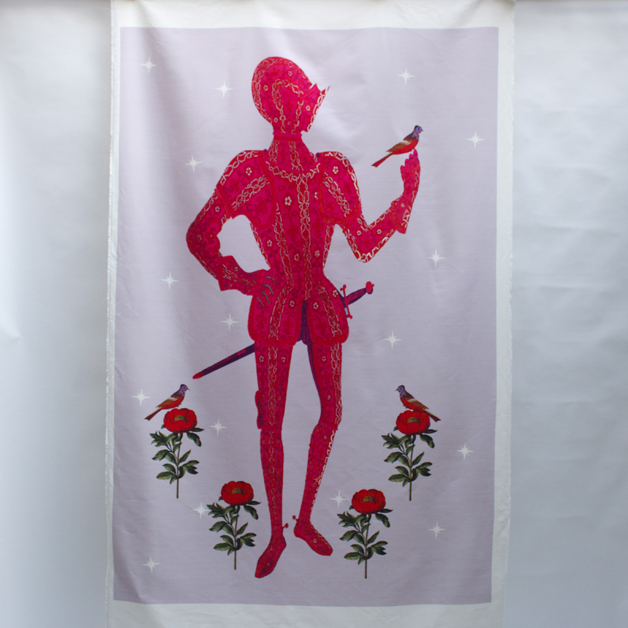 Bespoke printed 2 metre high printed linen panels of knights from our knights and roses series. Pattern repeat : 180 cm in height. 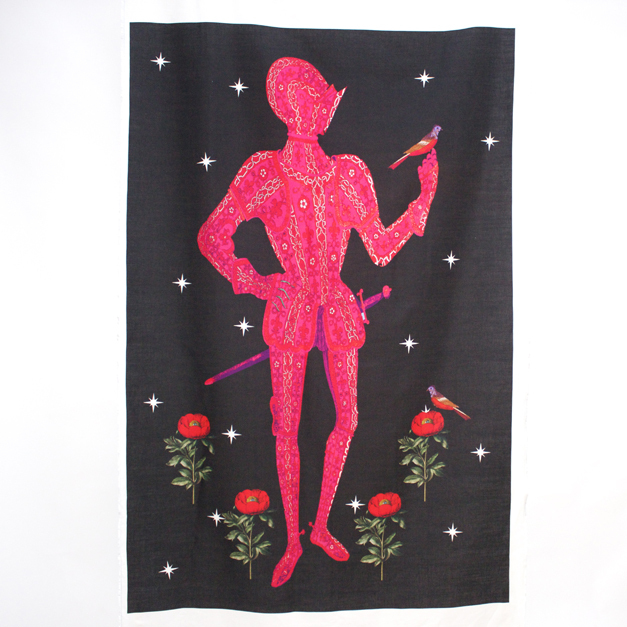 Use for curtains, door or wall hangings.